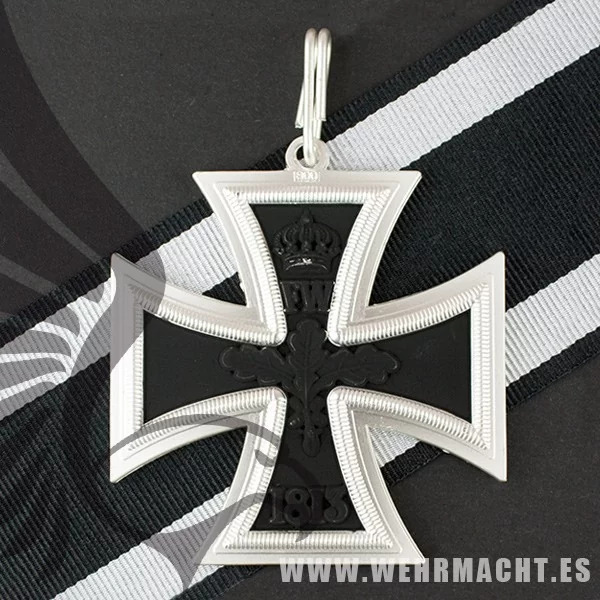 Replica of the Grand Cross of the Iron Cross of 1870. 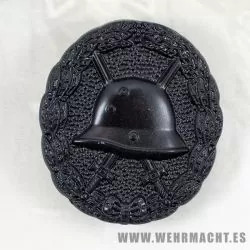 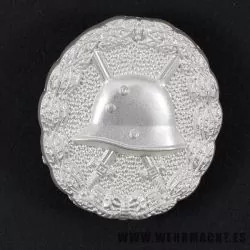 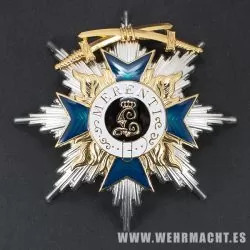 Made in one piece, black background with silver border, in the center the "W" for the respective kaisers, Wilhelm I and Wilhelm II with the Prussian crown and the year when it was renovated. 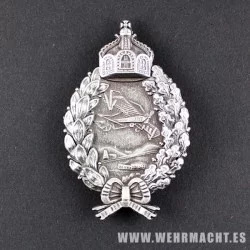 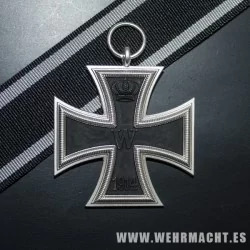 On the reverse we find the same crown, the initials of "FW" of King Friedrich Wilhelm III with oak leaves and the year of the previous cross. 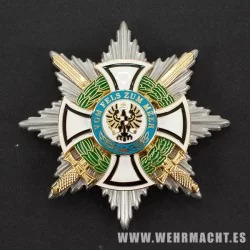 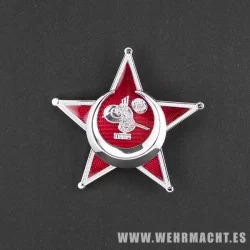 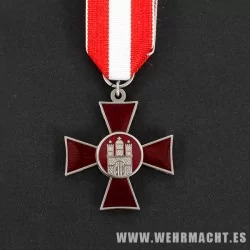 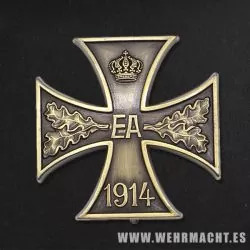 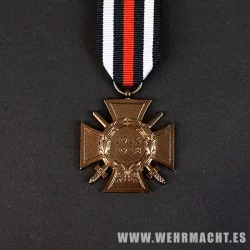 The Grand Cross of the Iron Cross was a decoration intended for victorious generals of the Prussian Army and its allies. 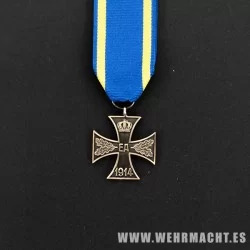 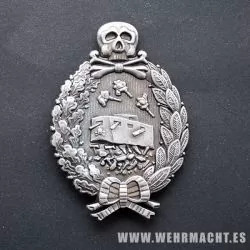 It was the highest class of the Iron Cross. 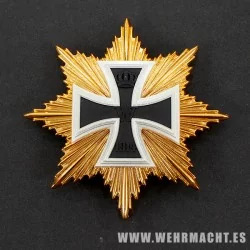 Along with the Iron Cross 1st and 2nd Class, the Grand Cross was founded on March 10, 1813, during the Napoleonic Wars. 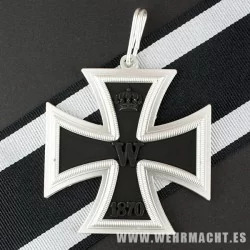 It was renewed in 1870 for the Franco-Prussian War and again in 1914 for World War I. 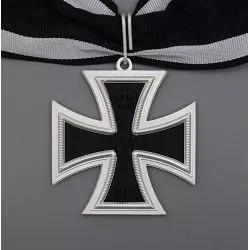 In 1939, when Adolf Hitler renewed the Iron Cross as a German decoration, he also renewed the Grand Cross. 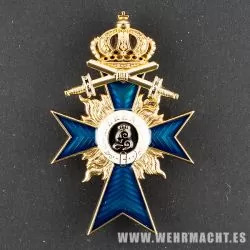 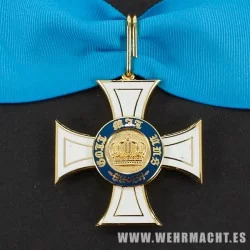 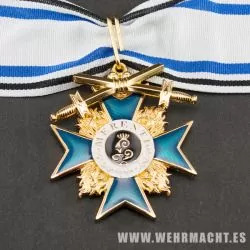 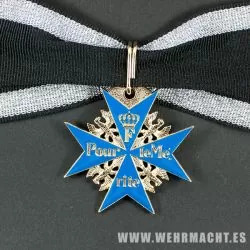 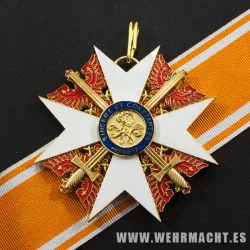 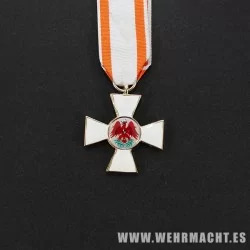 Kaiser Wilhelm I received the Grand Cross on June 16, 1871, and Friedrich Franz II, Grand Duke of Mecklenburg-Schwerin, received it on December 4, 1871. The Grand Cross of the Iron Cross was twice the size of the Iron Cross and was worn from a ribbon around the neck. The later Knight's Cross of the Iron Cross, instituted in 1939, was also worn from the neck; it was smaller than the Grand Cross but larger than the Iron Cross.